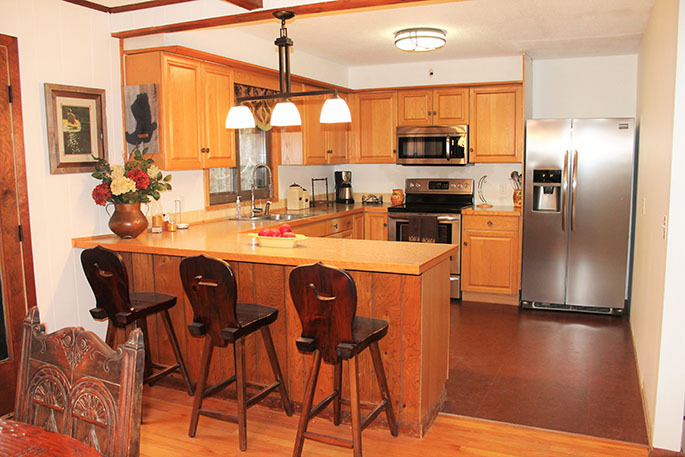 If you're looking for a beautiful home right near Stratton, then this is the rental for you! 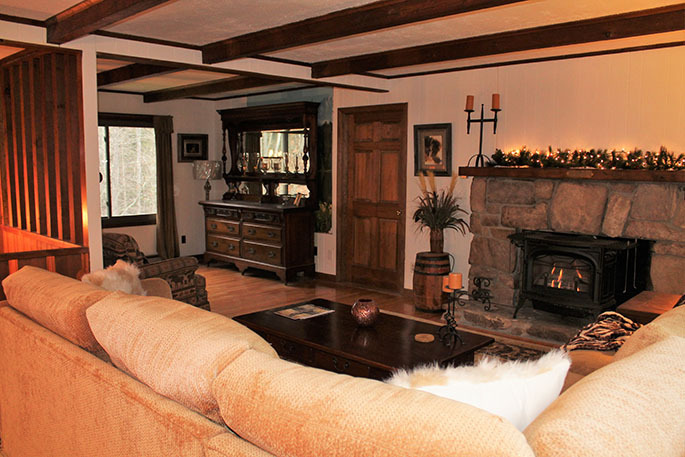 This gorgeous 5 bedroom house is on shuttle to the mountain in the winter. 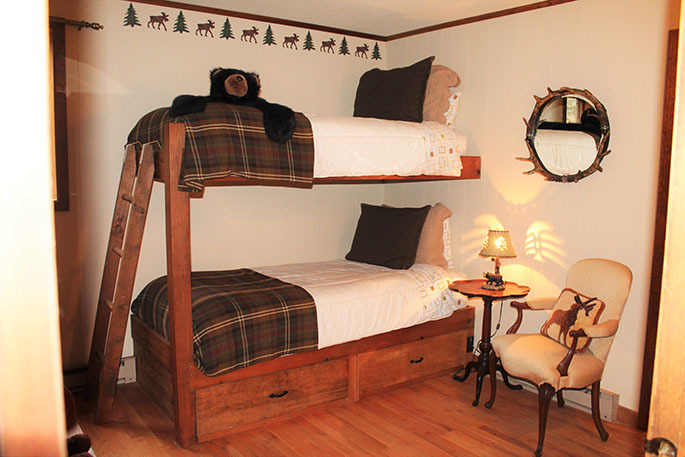 The house has 3 floors; the main level has a mudroom entry perfect for stowing gear, one bedroom with a twin bed, a full bath, another bedroom with two twins, the laundry room with a new washer and dryer, and then another bedroom with a bunk bed that leads into one of the masters with a queen bed and attached bath. 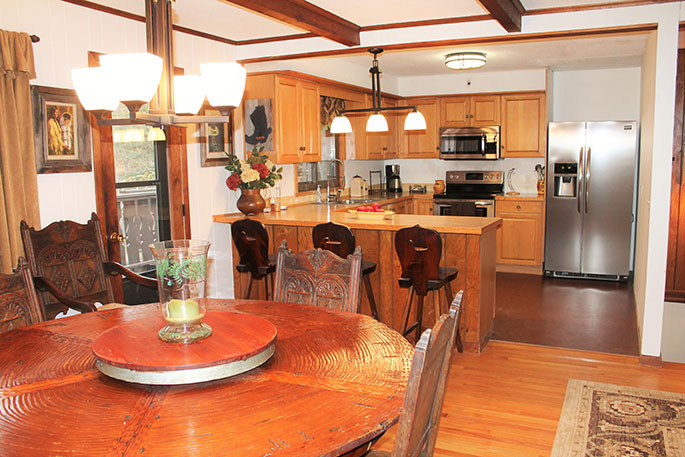 From this master, you can access the lower level which offers a bonus playroom with a ping pong table and foosball table. 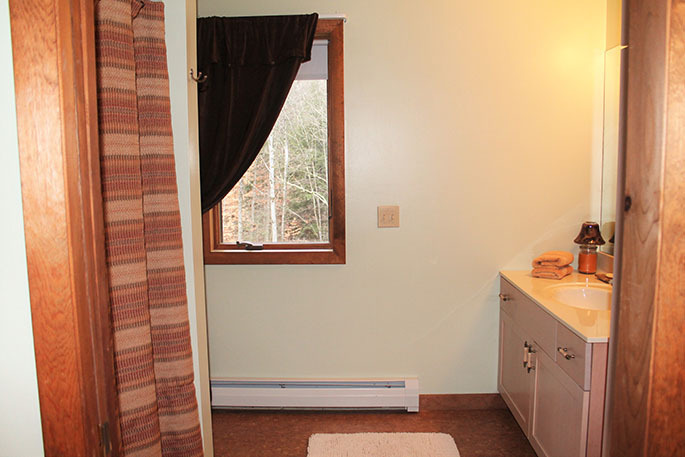 There is also a door to access the outside lower driveway from the playroom. 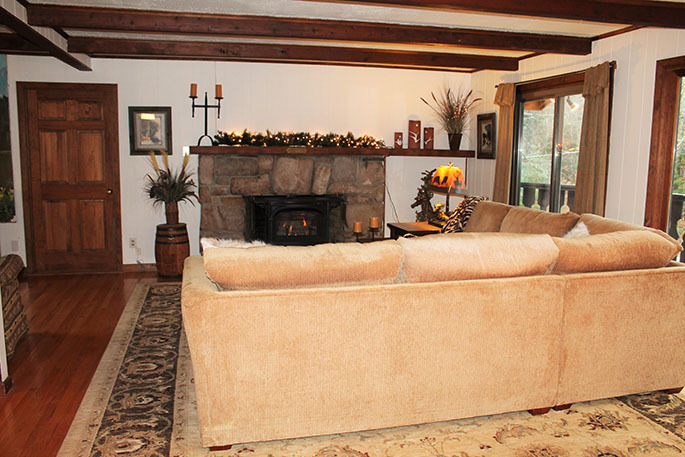 Upstairs has an open living area with kitchen, dining, living room, fireplace. 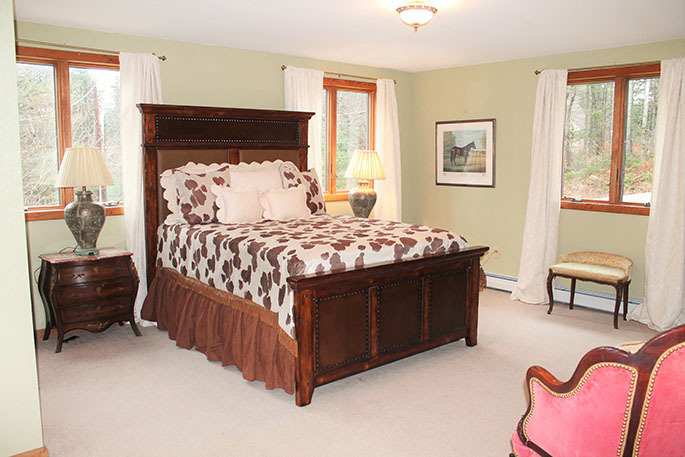 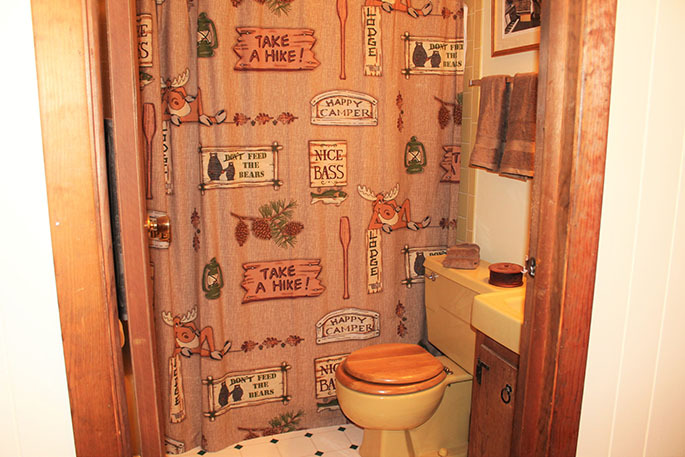 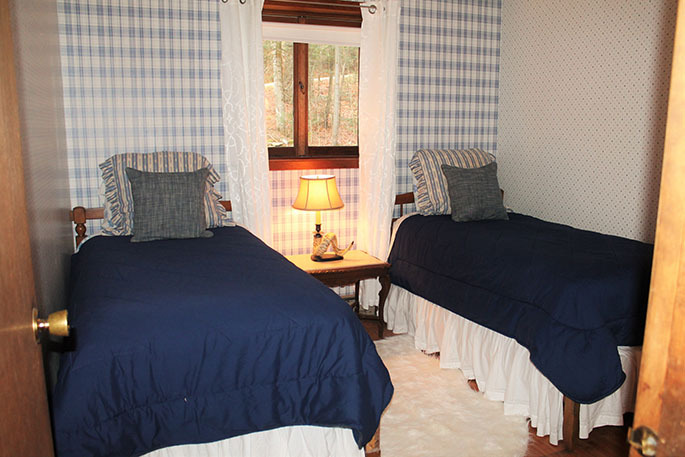 There is also another bedroom upstairs with a king bed that has an attached bath. 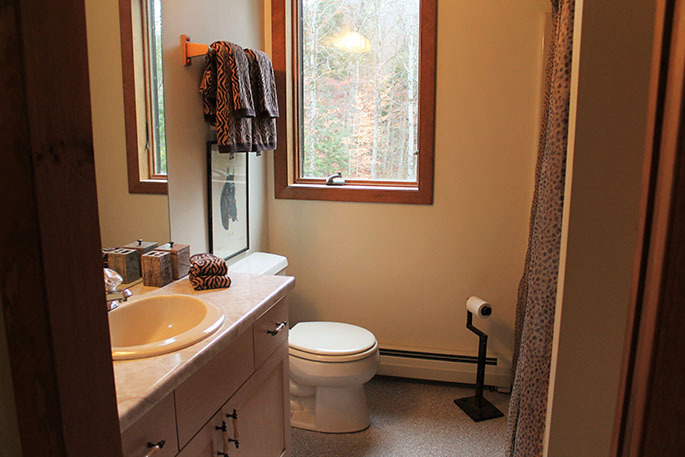 Hot tub can be installed. 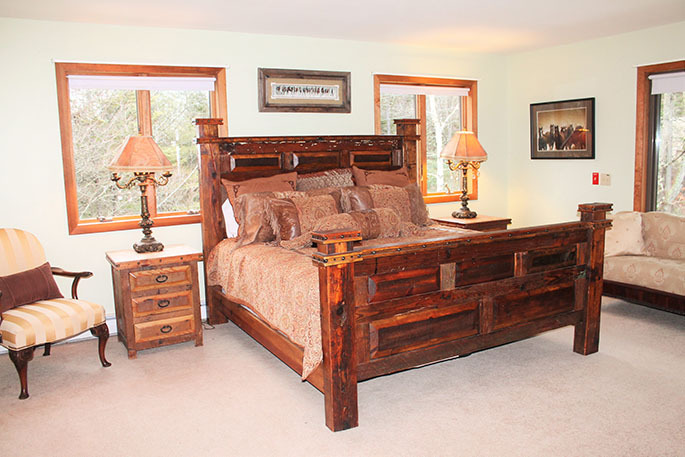 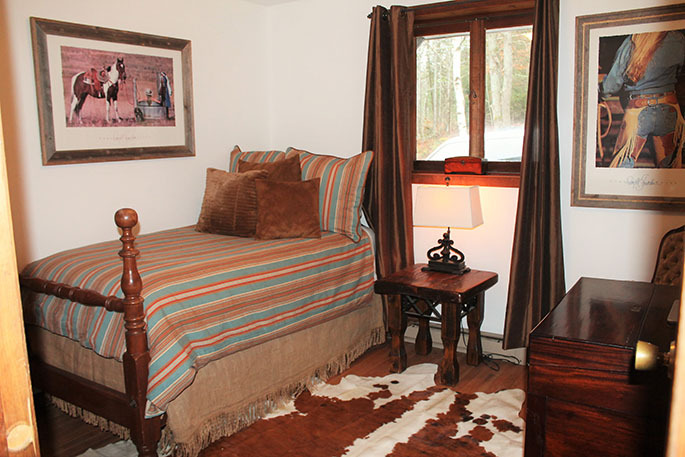 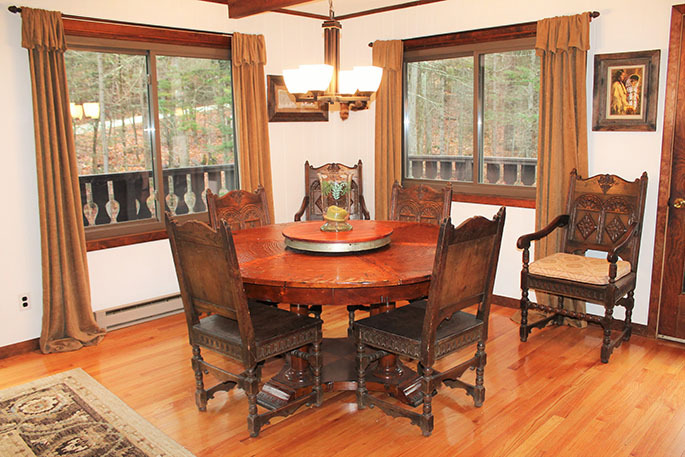 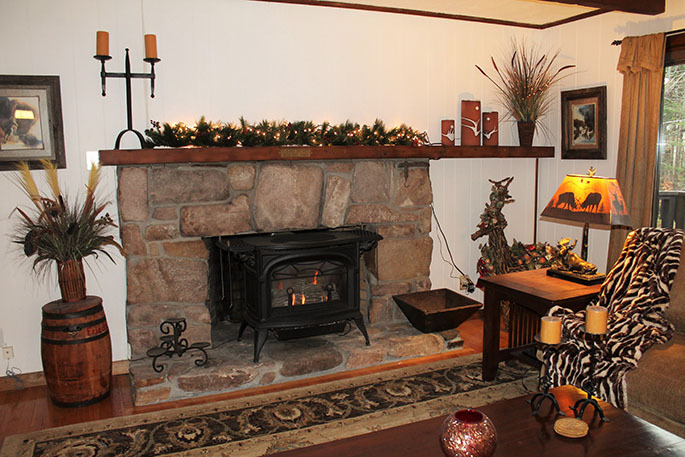 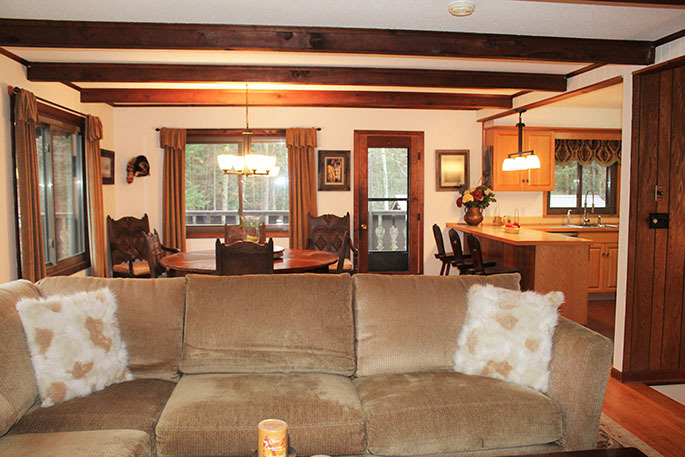 Call us now to book this home for your winter seasonal at Stratton VT!